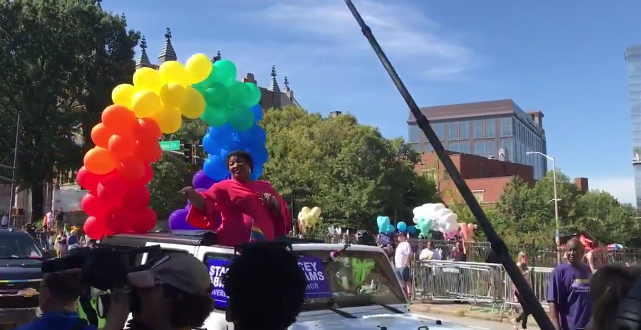 ATLANTA: Democrat Stacey Abrams Becomes State's First Gov Candidate To March In Pride Parade [VIDEO] - Joe.My.God. Shortly after, she became the first major-party nominee for governor to march in the parade, a vibrant spectacle that attracted just about every major corporation in Atlanta, dozens of political candidates and tens of thousands of Georgians. Her contingent, led by a group that included U.S. Rep. Hank Johnson and former 6th District hopeful Jon Ossoff, hoisted rainbow-colored flags and stark-blue Abrams signs.